EquinElite is dedicated to making horse grooming products of the highest quality. 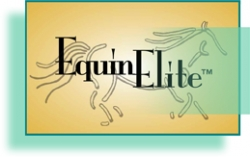 EquinElite products are enjoyed and used by horse lovers throughout the United States. The full line of products is a culmination of over 40 years of research, formulated with a proprietary blend of healthy herbal extracts that smell wonderful! EquinElite entire line of products contains UV protectors to shield your horse from the sun’s heat and damaging UV rays. Plus EquinElite UV protection does not wash out.